To improve lives and build communities by leveraging collective resources and mobilizing collective action to achieve the greatest impact. – for today’s residents and for generations to come. When we work together on important community issues, the results are game-changing. We’re creating pathways to prosperity. Poverty touches most aspects of a person’s life from food, shelter and employment, to mental and physical well-being. This complex issue has a social and economic impact that affects entire communities and everyone who lives there. It’s not somebody else’s problem. Community challenges belong to all of us. Together, we need to take action and address local poverty head-on. How can we create a lasting difference in our region? 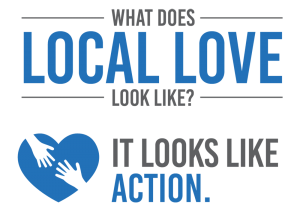 By unleashing our local love – one generous act at a time. Your donation powers UWSM’s crucial work, allowing us to target funds and mobilize on-the-ground efforts to tackle persistent social issues where they start. That’s how we change lives, today and for years to come.